During the 2016 election, the narrative that interference from "the Russians" had an impact on Donald Trump's success was alive and well, and it was pushed heavily by the Washington Post. However, the Post is now claiming that the propaganda it accused Russian bots of spreading was actually (North) American, and it was "factually accurate." "Some well-chronicled hoaxes reached large audiences. But Russian-controlled Twitter accounts, Albright said, were far more likely to share stories produced by widely read sources of American news and political commentary. The stories themselves were generally factually accurate, but the Russian accounts carefully curated the overall flow to highlight themes and developments that bolstered Republican Donald Trump and undermined his Democratic rival, Hillary Clinton. Among the tweets Albright studied, the most common links were to Breitbart News, followed by The Washington Post and the San Francisco Chronicle. The list of the top 25 linked sites had a conservative bent, with the Daily Caller, Fox News and the Gateway Pundit appearing." "a group that insists on public anonymity." However, the group, which went by the name of "PropOrNot," lacked both credentials and evidence. "Literally nothing in that Post article was true. None of the claims were backed by evidence, no research or investigation had been performed, nothing. WaPo just printed the claims of PropOrNot and inserted plausible deniability by failing to link to the list the site. A subsequent retraction at the top of the page was akin to plugging a crack in a dam that's already burst - damage to many reputable and award-winning outlets listed had already been done. 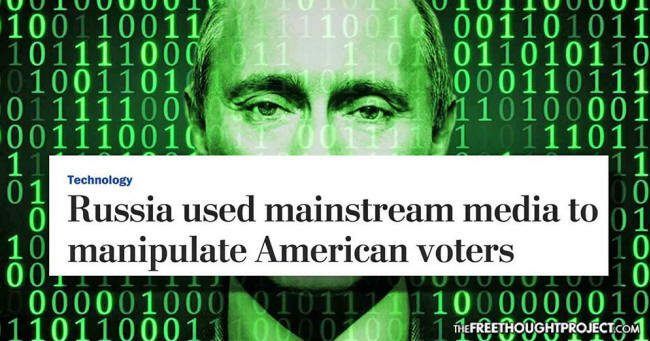 Additional stories from the Post - none including any proof - blamed The Russians for everything from meddling in the U.S. election to install Trump, to hacking into the power grid in Vermont. 'We're all in peril because Russia,' WaPo repeatedly claimed - without so much as a shred of evidence." The latest update from the Washington Post on alleged Russian meddling also cited Clinton Watts, a former FBI agent who is now working for the Foreign Policy Research Institute. 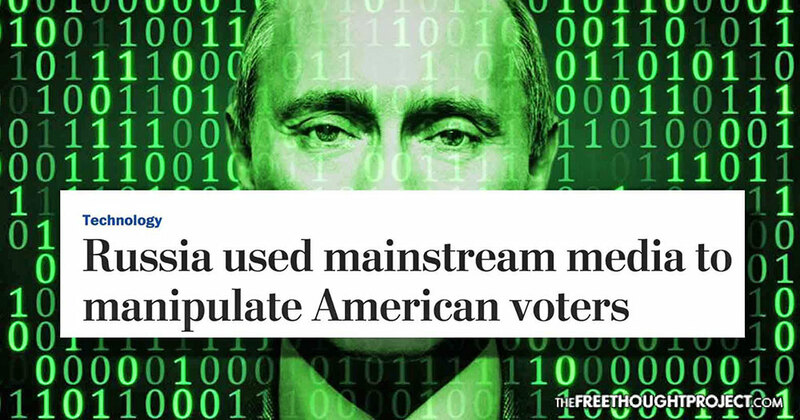 He claimed that instead of using obscure alternative sources, the "Russian accounts" on Twitter opted to share American mainstream media stories because it appeared to enhance their credibility. "The Kremlin, they don't need to create a false narrative. It's already there," Watts said. "You're just taking a narrative and elevating it." In the same way that the Washington Post is criticizing Twitter accounts for sharing links to their stories that promoted Trump or cast doubt on Clinton, the Post should also be held accountable for the many stories its outlet published pushing the narrative that Russian meddling and "fake news" were alive and well - only to then completely shift the story when the original claims fell apart.